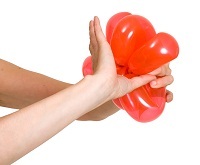 Balloons and flowers are common themes in parties. It’s a good idea to combine these two elements together as decorations for parties, baby showers, birthday parties and so on. 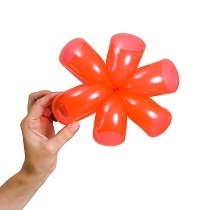 Here’s a nice DIY project to make balloon daisy flowers. 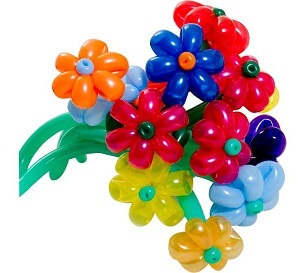 You can choose as manycolor combinations as you want and use these beautiful balloon flowers on table tops, porches, entryways, hallways or any place that you want to highlight in your party. 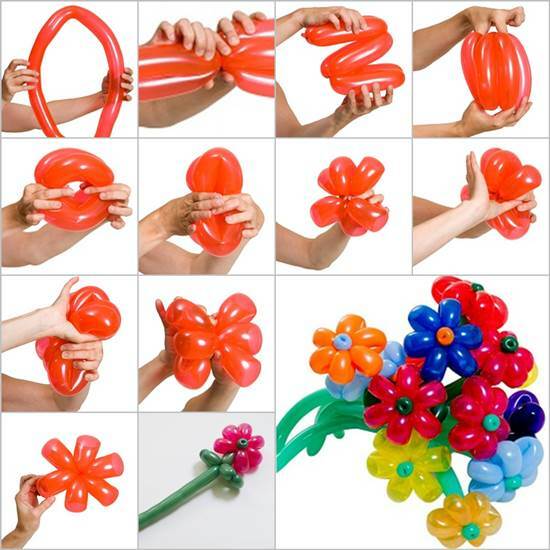 Or simply send someone a bunch of these balloon flowers as a small token of appreciation. Enjoy! 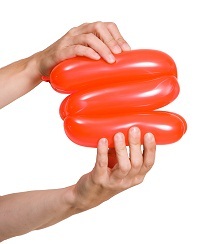 Inflate a long balloon, leaving about 10 cm free at the end. 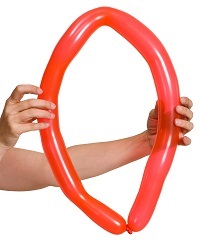 Make a loop to divide it in half. 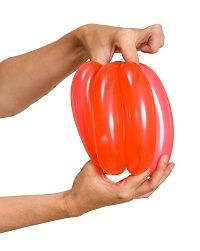 Twist the balloon to divide it into 3 equal segments. 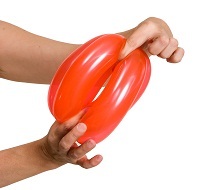 First twist at one third of the length and then fold it over to make the second one. 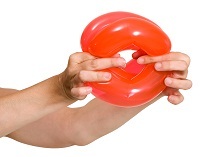 Stack the 3 segments over one another. 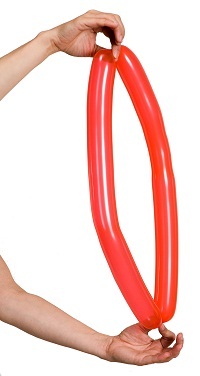 The ends should line up. 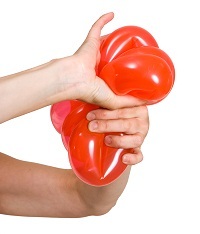 Pinch the ends with your fingers to connect them. 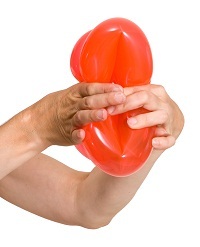 Bring both the ends together in the center and twist to secure it. 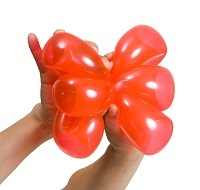 Adjust the petals to form a six petal flower. 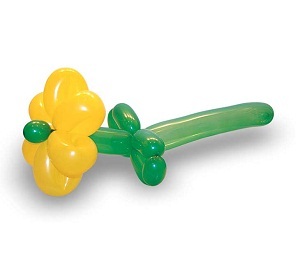 Inflate another green long balloon as the stem and insert it in the middle of the daisy flower. 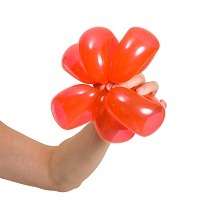 Use different colors of balloons to make a colorful bouquet of daisy flowers. Enjoy!